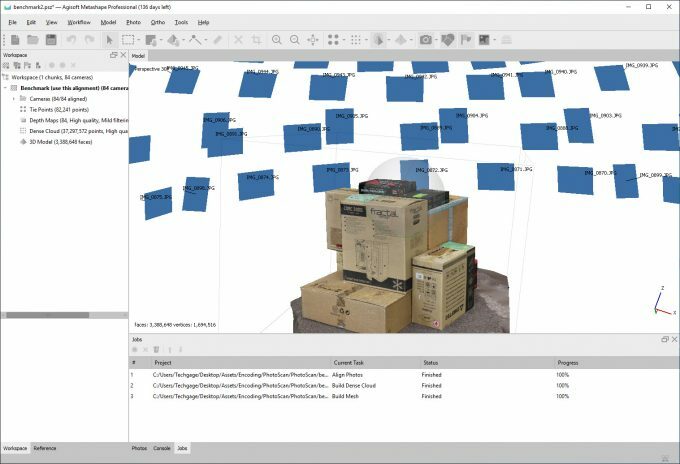 Without too much fanfare, Agisoft released the latest iteration of its popular photogrammetry tool in recent weeks, effectively kicking off the next era of the company’s software. Since 2010, this software has been known as PhotoScan, but as of a couple of weeks ago, the transition to “Metashape” took place. Until last year, Techgage hadn’t benchmarked with a photogrammetry tool, so it’s pretty coincidental that as soon as we adopted one, the poor thing had an identity crisis. It’s all for good reason, though. PhotoScan’s processing was completely CPU-based, whereas Metashape adds the use of the GPU, as well as AI. If you’re not familiar with photogrammetry, the process goes like this: a user imports a series of photos of a static object into appropriate software, establishes some measurements, and then waits for a workable 3D model to be generated. Once complete, the model can be exported for use in design suites like Autodesk’s 3ds Max. How common is PhotoScan’s Metashape’s use in the industry? 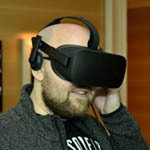 Not only does Epic Games use it, but so does Cyberpunk 2077 developer CD Projekt RED. For experienced users of PhotoScan, there’s thankfully not going to be any new learning-curve when moving over to Metashape. The software largely looks the same, and functions the same. There are a number of improvements under-the-hood, though, such as vastly improved performance thanks to generating meshes from depth maps. In the example above, a PhotoScan solution took 19 hours and used 90GB of memory to get its job done. Meanwhile, Metashape took only 9 hours and used only 57GB of memory to reach the same point. That in itself doesn’t tell the whole story, though, because if you look close, the Metashape solution has much greater detail than the PhotoScan one. You can particularly see it with the street signs, which are barely rendered in PhotoScan, but are largely complete in Metashape. The professional version of Metashape also adds artificial intelligence into the mix, allowing faster processing of aerial (and select other) data. This is fueled not only by machine-learning, but also submissions from Agisoft users who’ve properly classified photogrammetric points in their projects. The more people who submit their data, the better the algorithm will become. Notably, Metashape also adds the ability for cloud processing, allowing users to purchase some of Agisoft’s (presumably) server processing to get complicated projects done quicker. This joins the ability to use local network processing, another Pro-only feature. The transition to Metashape hasn’t changed Agisoft’s licensing prices. The Professional version still sells for $3,499, while the Standard version is priced at $179. Those with current PhotoScan licenses can upgrade for free, using the same exact key.